Our Family Bell tent is fantastic for larger families! Over the years many guests have asked us about family glamping accommodation for families of five or more people. 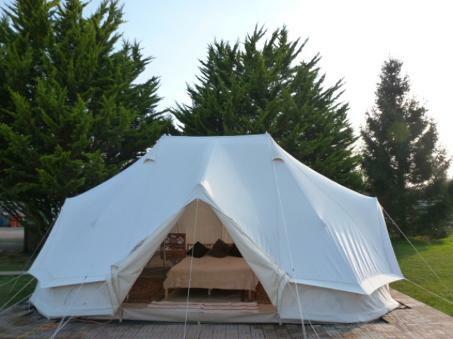 Continuing our drive to respond to our guests needs we have specifically sought out a family-sized glamping tent to welcome families of 6 and we are delighted to offer the Family Glamping Bell Tent for families of up to six people. The double central poles and three a-frames means the Family Glamping Bell Tent has room inside to sleep up to six people with a double bed and four on futon style sofa beds. Some iPads/iPhones will not submit this form. Please use another device or contact us directly. As the UK's leading independent glamping site we are proud to offer a diverse range of accommodation at great value. 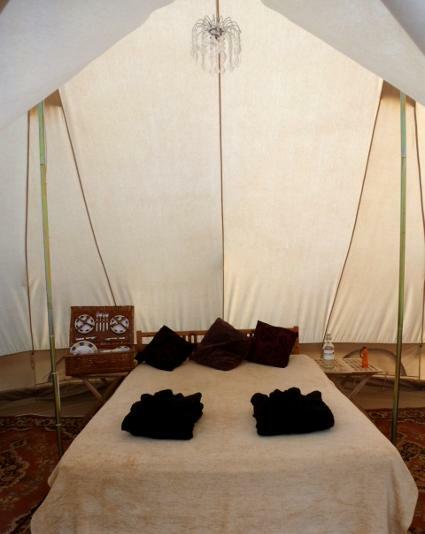 As such, guests on a tight budget can enjoy a lovely glamping experience with us. 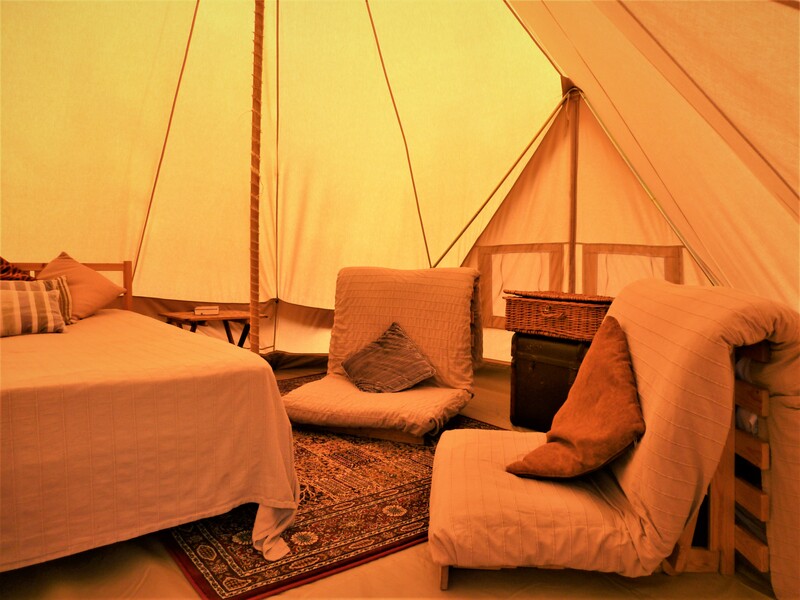 If you wish to have a bit more luxury then we also offer a range of additional glamping services for guests to pre-book ranging from late check-in or late check-out, morning newspaper or morning tea, through to towels and maid service. 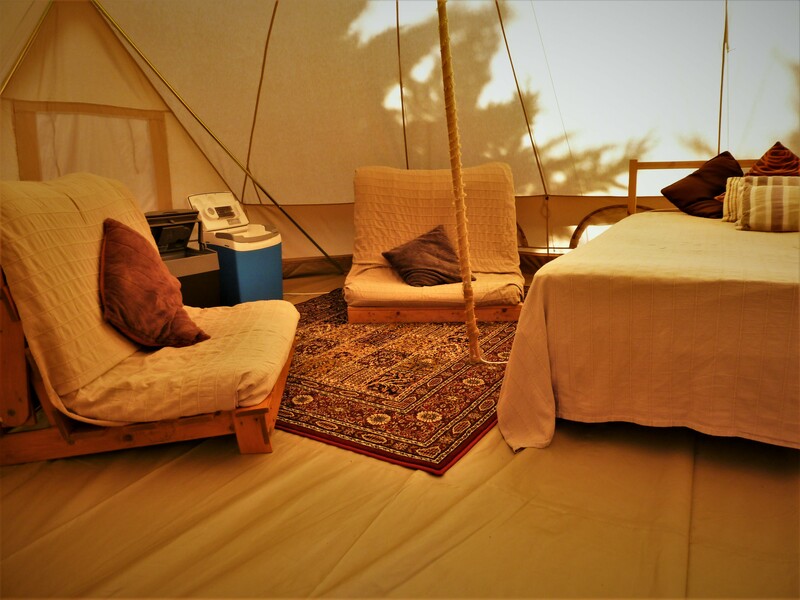 Visit our Glamping services page for more details. Deluxe Glamping - complete with bedding, towels, logs, kindling, charcoal, firelighters and a packet of marshmallows to roast - is now also available in our six-person Family Bell tent. Family of 4? Check out our stargazer Yurts! 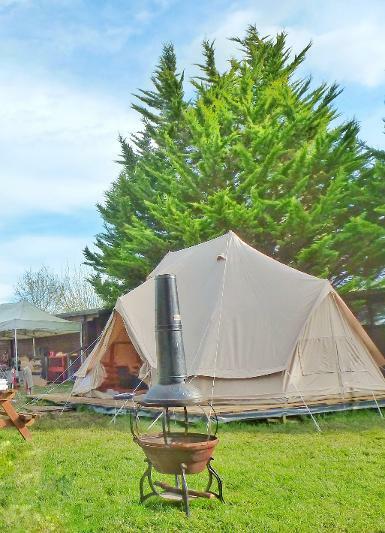 The Family Glamping Bell tent is also available for one night glamping stays - a small supplement applies for 1 night glamping breaks to offset the losses we incur by providing this service, please use the form above to request your dates and further information. We can always recommend options for multiple accommodations for a family group larger than 6 people, please feel free to follow the button to visit our Groups page for more information about booking more than one glamping accommodation.